It’s been two years since we had our first Autumn Gem screening in Southern California at the Pacific Asia Museum. Since then, we’ve had over one hundred screenings around the world, including stops in Australia, Canada, Texas, the Southwest, the Midwest, and the East Coast. This past week, we returned to Southern California for a week of screenings at the Cerritos Library, West Covina Library, San Marino Chinese School, Fullerton Library, Diamond Bar Library and Cal Lutheran University in Thousand Oaks. As I’ve stated numerous times one of the benefits of traveling with our film is the opportunity to visit with friends and family. In-between screenings, we were hosted by Dave and Audrey and by Rae’s aunt and uncle. We also met up with Rae’s cousin Hans (who played the role of Qiu Jin’s cousin in Autumn Gem), my cousin King-Ming, along with his fiancée Aimee, and Rae’s college friends Ben and Christine in Sherman Oaks. Following a radio interview at EDI Media in West Covina, we paid a visit to our actress, Li Jing, at her new Wushu Action Star Academy in Temple City. At the San Marino screening, one of Li Jing’s acting colleagues, Peter Kwong, was in attendance. Rae and I remember him as the villainous Rain in Big Trouble in Little China, one of our favorite movies growing up! Here are photos from our Southern California Fall 2011 screening tour. Our next stop is this Monday and Wednesday at the Santa Clara Library and Hayward Library. Then, we’re off to Hong Kong for several screenings in my parents’ hometown! Rounding out our Southern California tour was an event at the Monterey Park Public Library. Monterey Park was where we filmed the scene of Qiu Jin training with her cousin (who is played by Rae’s real cousin Hans), so it was great returning to one of our shooting locations. Our actress Li Jing attended the screening, and we had a nice chat with one of her wushu friends from China, who currently does stuntwork in Hollywood as well. We also got excellent advice and feedback from several audience members who are active in the arts and film community in Southern California. Our friend Rafael posed a great question about the reception of gender equality in current repressive regimes. Adam pointed out a recent article about the ongoing Egyptian protests, in which women participating in a march on International Women’s Day were harassed by men and told to “go home where they belong.” Women throughout history have been fighting for their rights and engaging in political activism, but oftentimes they’ve faced resistance from men who accuse them of impinging on “their” revolution. It’s inspiring to see the struggle for equality continue with the women in Egypt, who share the same spirit as Qiu Jin. Many thanks go out to Senior Librarian Cindy Costales for helping us set up and managing a full house, and the Friends of the Library for providing the delicious refreshments. Here are photos from our Monterey Park Public Library screening. Our first major public screening was at Adam’s high school in San Diego back in May 2009. On Friday we returned to his home turf for another event, this time at Miramar College. We had a fantastic turnout of students, faculty, community members, and even some of Adam’s elementary school classmates from Spreckels! Thanks to the internet and sites like Facebook, we can now reconnect with friends from over 25 years ago, and it was great having a mini-reunion at the screening. We’ve often been asked whether we’ll be showing the film in China. We’ve just begun planning a trip to Hong Kong in October this year, which looks to be a busy time for commemoration activities of the Chinese Revolution which took place on October 10, 1911. Many thanks to Judy Patacsil, Ethnic Studies Professor and International Education Coordinator at Miramar and her student volunteers for putting on a successful event! Here are photos from our Miramar College screening. Second stop on our Southern California tour was the Torrance Public Library. Rae was born in Torrance, and the screening was held the day before her birthday, March 9, which happens to be Adam’s birthday! Yes, we’re both Pisces, and this year is also Adam’s Year of the Rabbit, so we’re looking forward to being especially productive. We had a fantastic turnout with over 120 people, which made for a lively discussion session. Thanks to Dana Vinke from the library for putting on such a terrific event and getting the crowd to come! A special thanks to Ann Lau who helped put us in touch with the library initially. We first met Ann almost two years ago at our Pacific Asia Museum screening. Since then, she’s been a strong supporter of the film as well as an inspiring activist in her own right in her many efforts on human rights issues. Ann made an important point during the Q-and-A regarding the different perspectives on suicide in Chinese and Western cultures. Traditional Chinese culture viewed giving one’s life to a larger cause as heroic, whereas in the U.S. the act may be seen as more selfish or inward-directed. 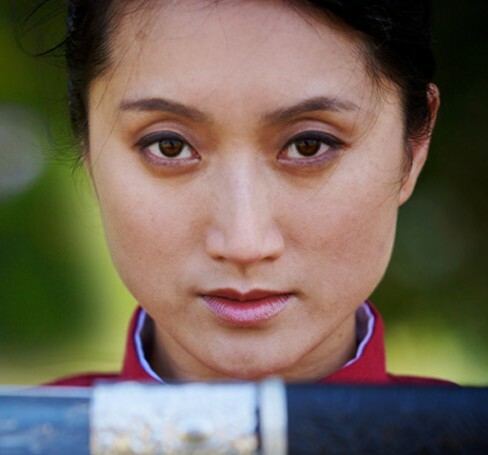 As Hu Ying mentions in the film, Qiu Jin was able to achieve a greater impact in her sacrificial death than in her life. 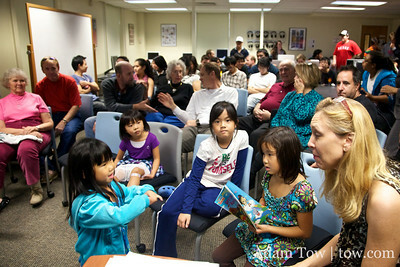 Here are photos from our Torrance Public Library screening. Our final screening of 2010 tour was at Southern Methodist University in Dallas. SMU was chartered and founded in 1911, the same year that Women’s History Month was started and the fall of the Qing Dynasty in China. Today, the school is home to 11,000 students, and will be the future site of the former President George W. Bush’s Presidential Library. In fact, the groundbreaking ceremony was held on November 16, 2010, just a few days before our November 22 screening. We met the Colombo family at our Austin College screening the previous Friday. They had read about our article in a Dallas newspaper and were keen on coming because they are adoptive parents of several children from China. Following the screening, they told their friends in their children’s Chinese Girl Scout troop about the SMU showing. Thanks to the Colombo’s and Kimberly Powell for bringing a great community turnout at SMU! Along with them, we had a large number of students from various Chinese Language and History classes turn out. Next time, we’ll have to get a bigger room, as it was standing room only in the back! We got a great question from one of the students about the dilemma between Qiu Jin’s fascination with Western ideas and her opposition to Western incursion into China. In order to repel the Western invaders and internally strengthen her country, Qiu Jin felt that China needed to learn from its enemies. Knowing this perhaps gives us perspective on China’s relationship with the West today. After all, it’s only been 100 years since the birth of Modern China, a relatively short-time by historical measure. 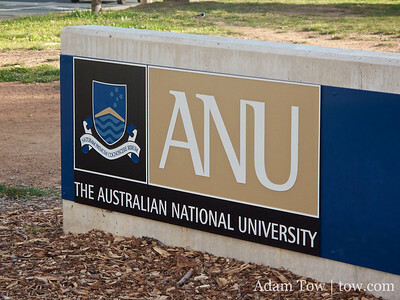 Our final screening1 while in Australia was held at the Tenth International Women in Asia Conference at The Australian National University in the capital city of Canberra. The theme of this year’s conference was Crisis, Agency, and Change, certainly apt descriptors for the time that Qiu Jin lived at the turn of the last century. I attended a panel on Raden Kartini, Indonesia’s first feminist. Kartini lived and died around the same time as Qiu Jin. Like her Chinese counterpart, she left behind many writings (from her correspondences with European friends) in which she commented on the condition of Indonesia women. 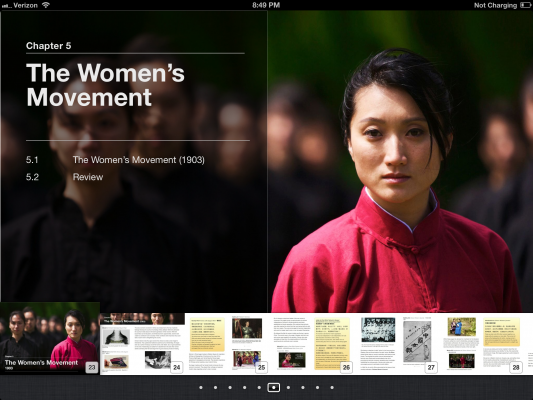 Certainly during this timeframe, there was a lot of activity in the women’s movement across the world! We had never heard about Kartini before this conference, much like non-Chinese have never heard about Qiu Jin. 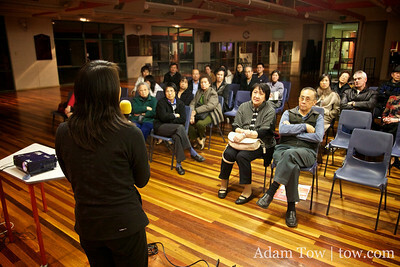 On Sunday night, we had a screening at the Chinese Association of Victoria. In the late afternoon, Rae and I took the train from Flinders Station to Wantirna, a suburb of Melbourne. Lillian and Rex Lai picked us up from Blackburn Station and drove us to the CAV. The association was founded back in 1982 by a group of 30-40 Chinese from Malaysia, Singapore, Hong Kong and Indonesia immigrants who shared common objectives for the future of Chinese in their newly adopted country of Australia. After meeting in members’ homes and rented facilities for several years, they opened up the CAV Centre in Wantirna in 1995. It was at the CAV Centre where we held our screening. We always enjoy showing the film to Chinese organizations such as these, because their primary membership base are often people from our parents’ generation. One of the things that I enjoy asking is how they came to the decision to leave their country of birth to immigrate to Australia or the United States. As we take Autumn Gem to additional international locations, we’ll be asking this question more and more. I find it fascinating to think how one decision changed the course of history for them and their families. As first-generation American born Chinese, we have been fortunate to have grown up in relative prosperity. The decisions we made in our early twenties pale in comparison to those our parents faced. We owe a great deal to them for their sacrifice in providing us a better tomorrow!